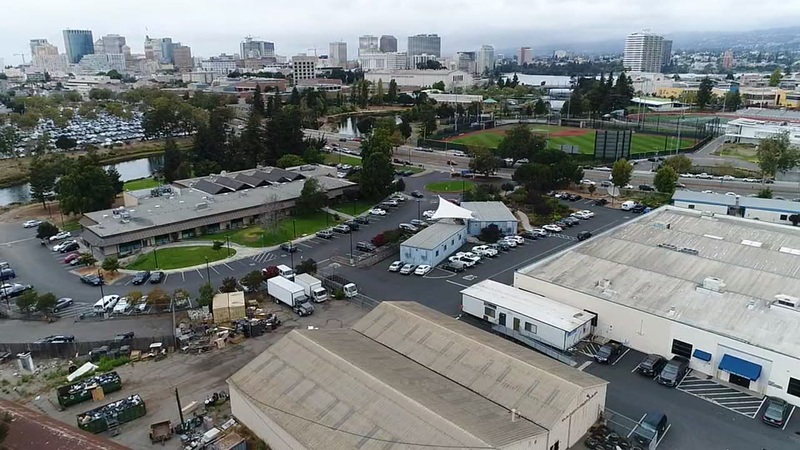 OAKLAND, Calif. -- Groups representing faculty, staff, and students at Laney College in Oakland say they have taken official positions strongly opposing plans by the Oakland A's to build a new baseball stadium near the college. The proposed site is located between Lake Merritt and Interstate Highway 880 and currently is home to the administrative offices for the Peralta Community College District and includes commercial warehouses, parking lots and office buildings. Laney College is located nearby. Last Thursday, Peralta Federation of Teachers Local 1603, which represents more than 1,000 teachers, librarians, counselors, and nurses at all four Peralta Community College District campuses, including Laney, and the Associated Students of Laney College voted to oppose the A's proposal. The Laney College Faculty Senate previously voted to oppose the stadium. The California Faculty Association's East Bay Chapter, which represents the faculty at 23 California State University campuses, including the 3 campuses of Cal State East Bay, passed a similar resolution last month. "We need to protect Laney College as a public resource," Laney psychology instructor Kimberly King, who's an executive council member of Teachers Local 1603, said in a statement. King said, "As faculty, we're committed to our students and the Oakland community. The A's proposed stadium would accelerate the development of luxury housing and push out long-time Oakland residents, including our students." The Peralta Federation of Teachers held community forums at each of the four Peralta campuses over the past month. Federation officials said each forum included a representative of the Oakland A's, a faculty member opposing the stadium development, a faculty member in support of the stadium, a student, and a community member. They said A's President Dave Kaval met with PFT Local 1603's executive council before it voted last week but failed to persuade the group to support the baseball team's plans. The Associated Students of Laney College said it has been collecting votes to gauge how students feel about the A's stadium proposal since October and 90 percent of students voted to oppose the stadium development. Last Thursday the student group's leadership also voted to oppose the baseball team's plans. Associated Students President Keith Welch said, "The district needs to hear from students, and we do not want this ballpark." Welch said, "Laney College has changed people's lives, gotten people out of poverty. Before this year, the A's took no interest - no scholarships, no internships, nothing." Welch said, "Now they want to disrupt our education by building a ballpark across the street with noisy construction, traffic gridlock, pollution, and alcohol consumption by fans. We will not sacrifice our education so that the A's owners can make more money." Last week, a poll of more than 2,000 people that was conducted by Oakland Rising, an alliance of nine Oakland grassroots groups, found that 82-percent of residents want the A's to stay at the Oakland Coliseum and invest in the East Oakland area where that stadium is located. However, a recent poll that was conducted by the Oakland Chamber of Commerce found that 62 percent of respondents support the A's proposal to build a new stadium in the Laney College area.